Identical twin sisters Harper and Tabitha Frost couldn't live more differently, on beautiful islands eleven miles apart. Easygoing Harper likes a beer and a shot and wouldn't be caught dead wearing anything fashionable. She's inherited her father's rundown house on Martha's Vineyard, but she can't hold down a job, and her latest romantic disaster has the island talking. Dignified Tabitha prefers fine wine and has inherited her fashion designer mother's impeccable taste. Tabitha has a rebellious teenage daughter and a Nantucket boutique that desperately needs a cash infusion. Now, Harper and Tabitha switch islands-and lives-to save their splintered family. 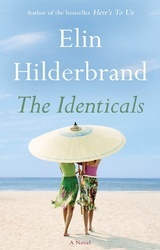 Can they end their sibling rivalry before the last beach picnic of the season?